Hillstown Grange is holding a Pancake Breakfast and Grandma’s Attic Sale on Saturday, January 5, 2019, doors open at 8:30 AM and the Grange will be cooking and selling until 11:00 AM. Breakfast of  Pancakes including sausage, coffee, tea and juice, all for just $5, $3 for kids 14. This month’s special is blueberry pancakes with winter surprise sauce. Grandma’s Attic and Jon’s Book sale will be open during breakfast. Please help us clean up the attic with special bag pricing on books and household items. A table game area has been added for all to come and relax before or after breakfast. Come to browse, eat, or just visit the historic Hillstown Grange Hall. Free Admission. 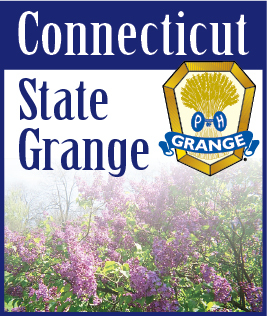 Hillstown Grange is located at 617 Hills Street, East Hartford, CT. For more information on this event: Frank at 860-690-2845 or e-mail: hillstowngrange@aol.com. For more information on Hillstown Grange, visit the Grange’s website at www.HillstownGrange.org.